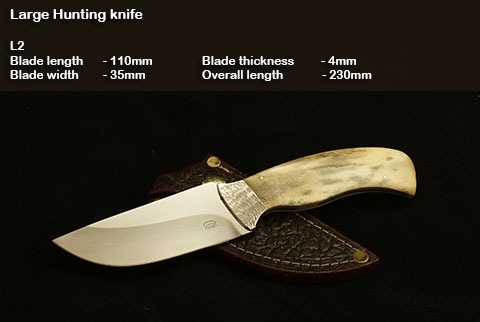 Thickness of of the blade depends on the overall size of the knife so that the knife is always in the right proportion and perfectly balanced. 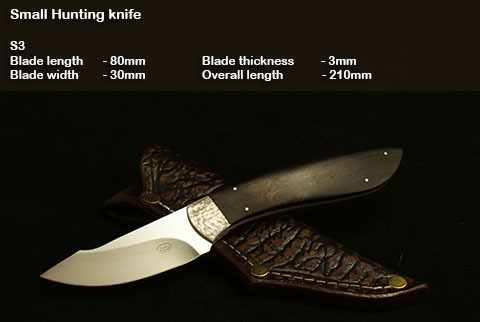 The blades made of stainless steel are mostly hollow grinded or and is available in a satin or mirror finish. 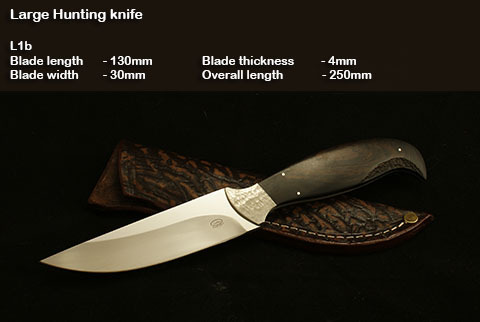 Blades made of high carbon steels are mostly flat grinded to suit the look of the knife. 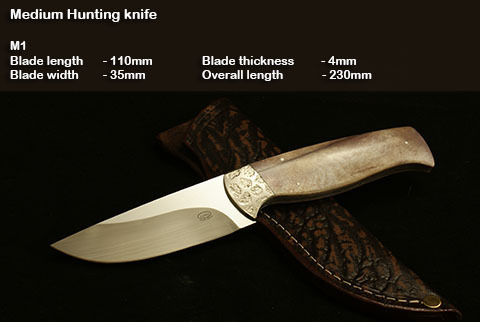 Every blade is hardened to approximate 58 rc for supreme edge holding abilities. 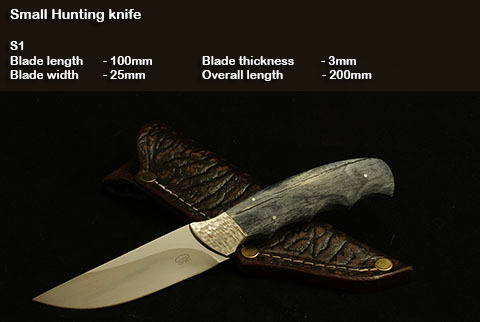 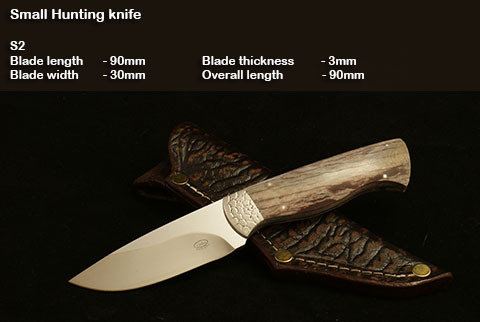 Synthetics such as G10, Carbon fiber Micarta and poly products. 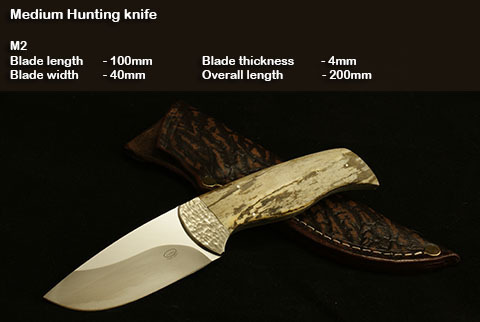 Hardwoods such as African Blackwood(Black Ivory), Pink ivory Tambotie and Leadwood, Animal products like Giraffe bone, Hippo, Warthog and Elephant ivory, Exotic materials like Snake woos, Desert Iron wood, Mammoth Ivory and Mother of pearl is also available on request. 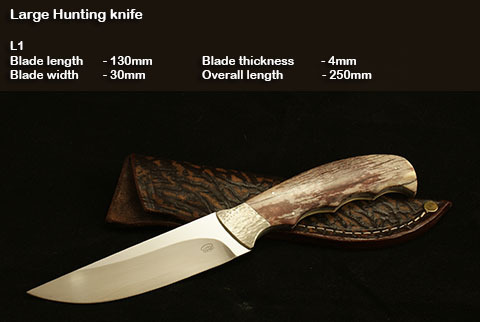 Every knife is delivered in its own custom made leather sheath.